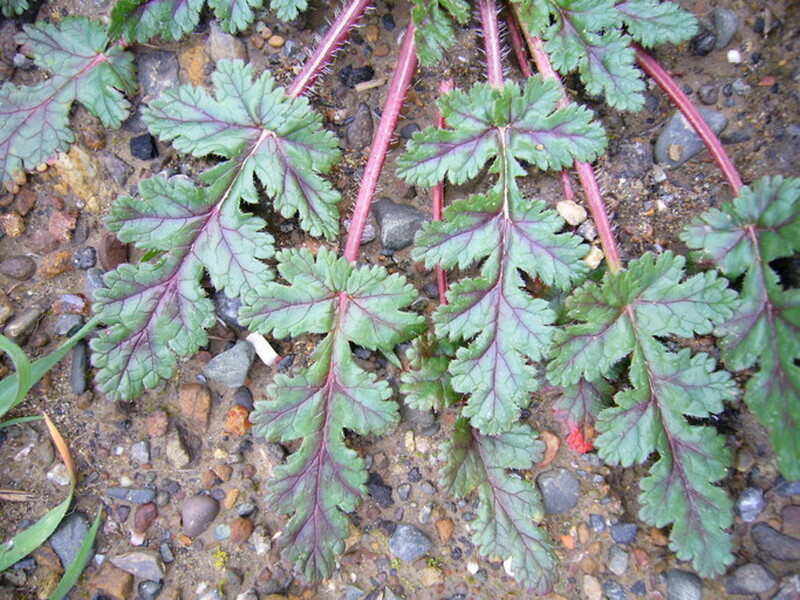 Our geraniums are annual or perennial herbs with leaves that are alternate or opposite. 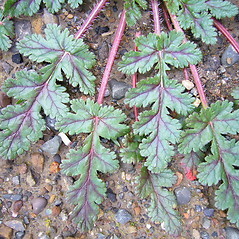 The leaf blades are lobed or compound. 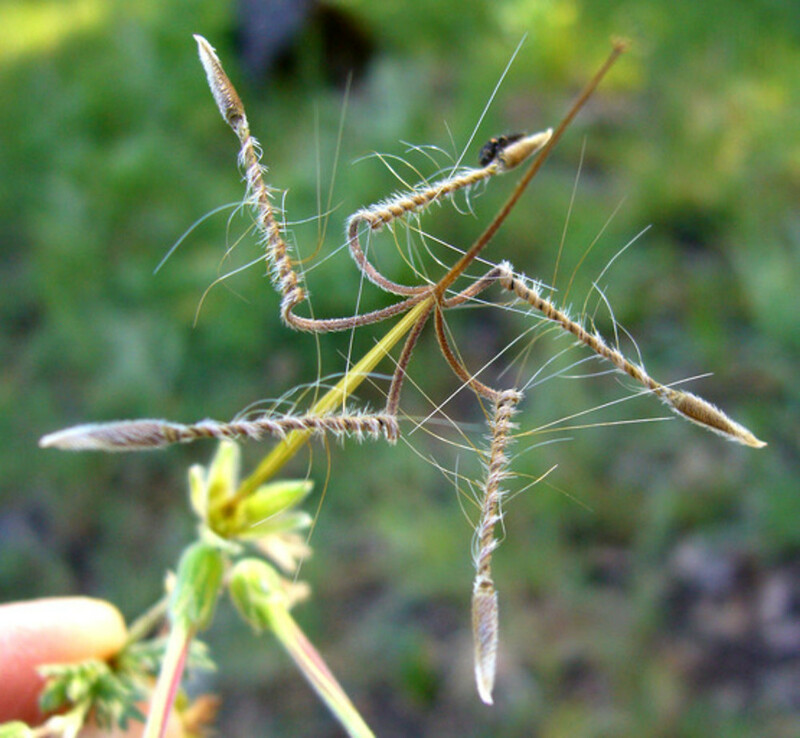 They have a small appendage (a stipule) just beneath the point where they attach to the stem. 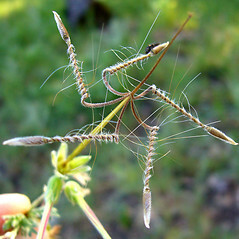 The flowers have both pollen-bearing and ovule-bearing parts and are solitary or arranged in stalked, branching arrays that grow from the junction of leaf stalk and stem. The flowers are actinomorphic (radially symmetrical) or nearly so, and are 5-merous with sepals and petals that attach below the ovary (i.e., the ovary is superior). There are usually 10 stamens that are often attached to one another at the base. There is 1 ovary comprised of 5 carpels and has 5 stigmas. The fruit is a schizocarp that separates into 5 smaller, 1-seeded pieces when mature.